These plans are available month to month and on two year terms. However, the minimum monthly spend will not meet the requirement for an iPhone. 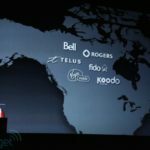 The move looks to be a push back against regional carrier Videotron’s similar unlimited 1GB plan, which was matched last week by Bell and Virgin Mobile; it was just a matter of time before Fido and Koodo jumped alongside Virgin Mobile, in the ongoing Canadian wireless tango. 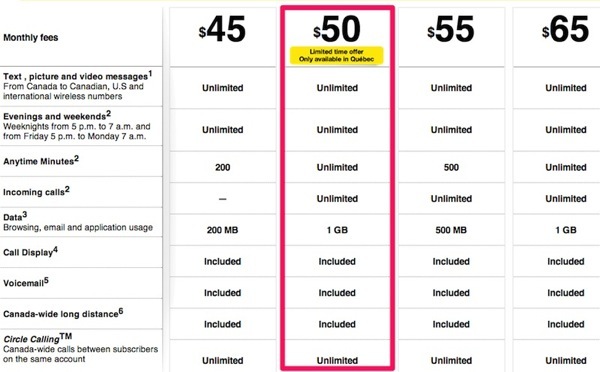 Videotron also offers a $59.95 per month plan which comes with 6GB of data. Unfortunately, these offers are only available to Quebec residents. 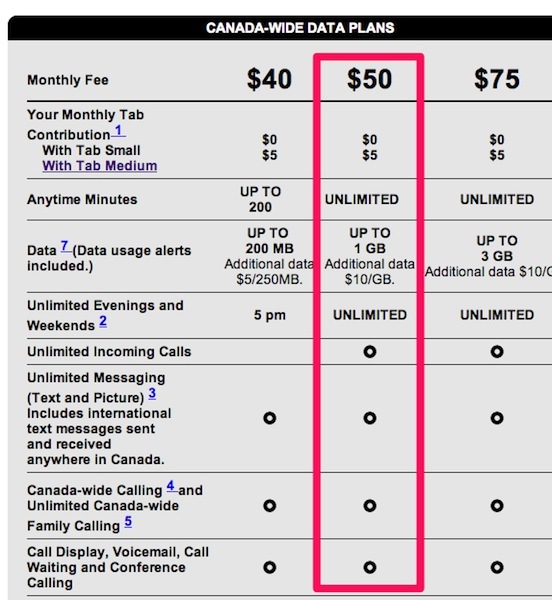 For the rest of us outside the province, the $50 plan only comes with 500 anytime minutes, 500MB of data and 5PM evenings and weekends. Let us know if you’re going to jump on these offers.